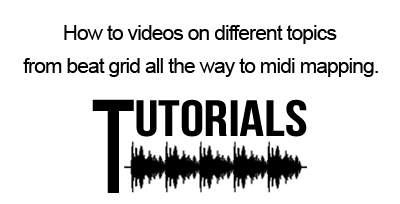 The draw will be on December 17th, 2015 and to have your chance to win, you must purchase the tutorials access from November 1st to December 15th, 2015. The result will be posted as a video on Youtube soon after the draw date. If you buy the 30 days tutorials access, your name goes into the bucket once. If you buy the 3 months tutorials access, your name goes into the bucket 3 times. If you buy the 6 months tutorials access, your name goes into the bucket 6 times. The draw is valid for members of Traktor Pro Tutorials worldwide. 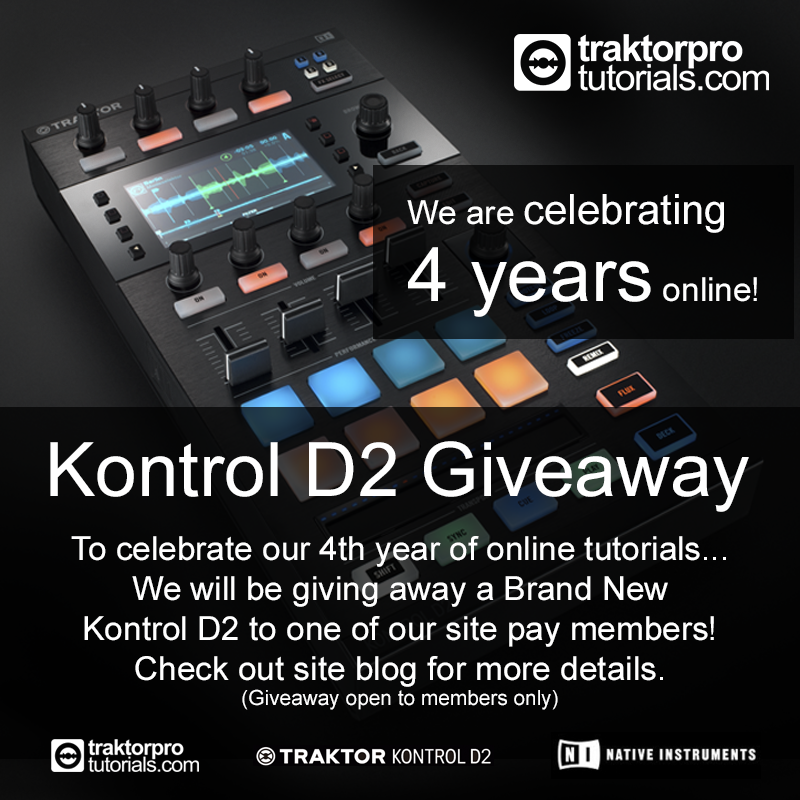 The Traktor Kontrol D2 will be shipped anywhere in the world and delivered to the winner via the United States Postal Service with all fees paid by Traktor Pro Tutorials. Attention: We are not responsible for any tax rate applied by the government of your country. Guys, it's been an amazing ride so far! Not easy, but crazy awesome at the same time. As they say... when you are doing what you love, the hard times are surpassed and we grow our knowledge more and more each day. I would like to thank everyone for the support I always receive from you guys on the site! To all you Traktormaniacs like me who over the course of the time that the site has been up, all of you guys who’s been following my work, you know I’m always trying to help everyone in any way I can… unfortunately it’s impossible for me to help everyone by my self because I'm only one, I work all day and have my family to take care of. And this is the reason why I created the site… this way I’m be able to help a lot more people by creating a place where you can come in and watch tutorials about Traktor Pro! I wish everyone best of luck and see you on the site! ← Kontrol S5 – Stems + mobilidade!